Hooray for me! 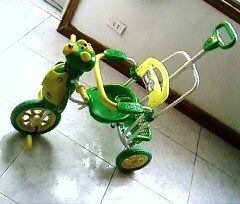 Finally I bought Elijah a bike with my own sweat, tears and blood. Hehe. I bought this as a birthday present for him. 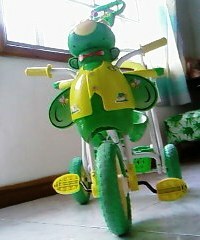 It’s the only available bike at a local supermarket here so I bought it. I can’t afford to pay the displayed bikes I saw at SM, but no worries, I can afford an electric one when I get many job opportunities. What important is not the price but how I wanted to see him smile with his new car. Right? 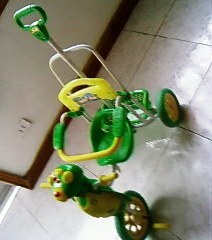 I bought it right away when I got the money because when he rode on it the first day we saw it in the supermarket, he was so happy that he cried when we took him off the bike.